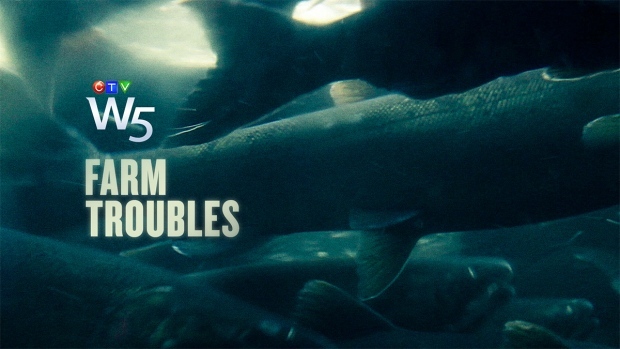 During W5’s broadcast of "Farm Trouble" we reported about questions raised about the closeness of the BC laboratory which tests farmed Atlantic salmon for disease, its lead scientist and the largest fish farm company on the coast. In particular, we looked at the discovery of a virus called PRV and a disease it causes, which produces heart damage in salmon. Identified in Norway, the disease has now been spotted in farmed salmon in British Columbia. This was reported by a scientist at the federal fisheries laboratory in Nanaimo in a research paper published in 2017. Following that publication the lead scientist at the B.C. laboratory that tests farmed salmon, Dr. Gary Marty, claimed that he too had seen the disease, but decided not to call it HSMI. Critics complain that Marty had downplayed a serious disease that could put wild salmon at risk and pointed to his connections with the farm fish industry, as a real or perceived conflict of interest. In part they relied upon two research papers, published in 2014 and 2016, which Marty co-authored, among others, with an employee of Marine Harvest and downplayed the significance of heart damage seen in B.C. farmed salmon and its possible link to PRV and HSMI. After the W5 broadcast the B.C. government announced it was investigating the laboratory in Abbotsford and its independence. According to Marty, the veterinarians he was referring to in the W5 interview were employed by the B.C. government. However, during his interview Marty was clearly proud of the relationship he’d built with the aquaculture industry, providing examples of the association and reliance on fish farm staff and veterinarians.